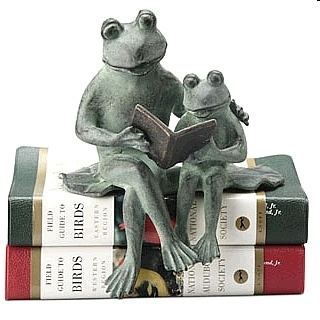 Our baby frog seems to be quite a reader as he enchants and enthralls his mother on his new found knowledge savoring the pages of his book and finally impressing her to put down her book to listen to him. Beautiful sculpture with much sentimental value. Aluminum. Dimensions: 7"H x 6" x 5"